Young Foodie Entrepreneurs could be defined in many different ways. For me it’s about people who have developed new and innovative food and drink products. And finding Young Foodie Entrepreneurs who want to build partnerships and get their products in to the market place. So I consider myself to be an enabler! I recall when I left college at the tender age of 18, full of hope and expectation, I went in search of my first job. Armed with my catering OND and looking for a year’s experience in the workplace so that I could return to study for my HCIMA qualification. On more than one occasion I met with the same response from prospective employers that, “I needed to have more experience” to be considered for employment. My recurring thought was, if no one is prepared to give me the opportunity, how am I supposed to gain any experience? The memory of that time has stayed with me to this day. In my role at bartlett mitchell my door is always open to Young Foodie Entrepreneurs who are looking for the opportunity to pitch their product. It has to be innovative. A route to market is in place. The product cost enables us to sell at a price that is competitive in the market place and is a margin enabler. The product is a good fit for our customers. The benefit of Young Foodie Entrepreneurs to us is that we can bring innovation to our customers. It keeps us on trend with what is going on in the wider retail world. It also enables us to engage with a steady stream of like-minded people and we gain a reputation as the ‘go to’ caterer. As an entrepreneurial business we want to see young entrepreneurs flourish and it’s a key part of our CSER commitment to give them opportunities. And our customers get the opportunity to try something new. Young Foodie Entrepreneurs have the opportunity to present their product through sample sessions within our sites where they can engage with customers, provide free samples – most people like getting something to try for free! They also gain access to our customer base providing them with insights into customer product perception. They also have the opportunity to get a foothold in the foodservice sector and learn the key differences between this and the High Street retail sector. Organic fruit & nut energy bard supporting African small scale producers. Sparkling water, Natural fruit flavours and natural energy – Guarana and Yerba Mate and Ginseng. 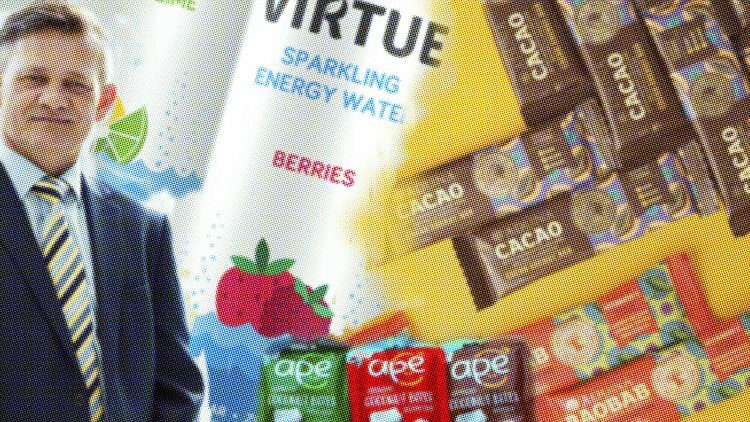 All three of these are aimed at the health conscious consumer who often struggle to find products that meet their nutritional requirements (that includes me – I have a stack of Virtue drinks in my fridge at home!! ).